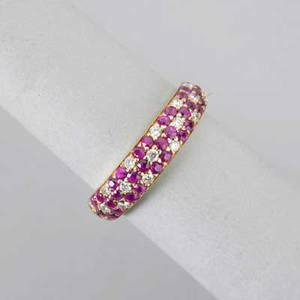 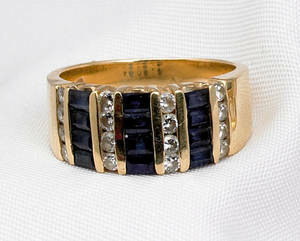 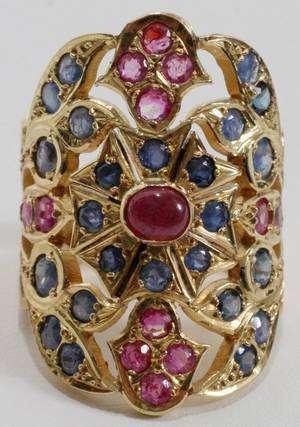 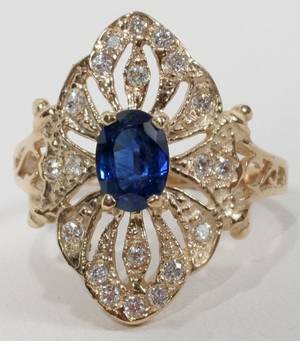 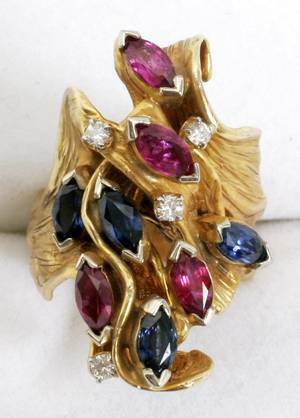 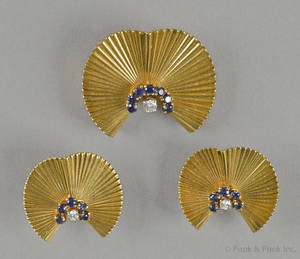 18K yellow gold sapphire and diamond ring with channel set stones to include 12 blue sapphire baguettes and 16 full cut diamonds, approx. 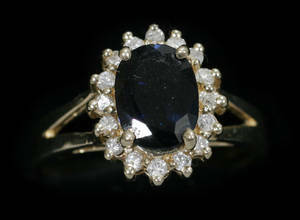 0.75 ct. total diamond weight, 4.9 dwt. 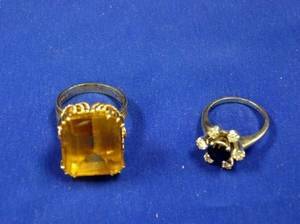 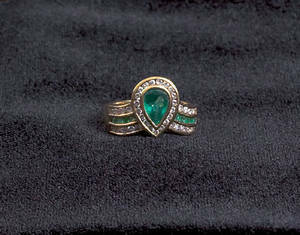 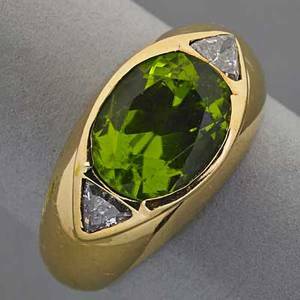 14kt Yellow Gold and Citrine Ring and a 14kt White Gold Sapphire and Diamond Ring.